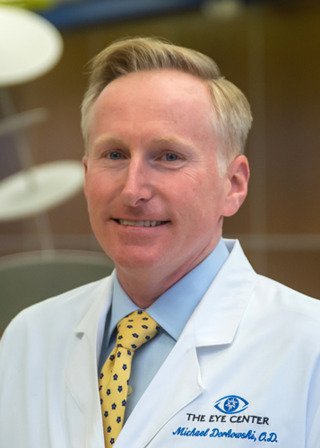 As an associate professor at the Southern College of Optometry (SCO), Dr. Dorkowski supervises student clinicians in The Eye Center in the areas of Adult and Pediatric Primary Care and Advanced Care Ocular Disease and Nursing Home Service. He is the Clinical Coordinator for the Nursing Home/Assisted Living Program. Prior to joining SCO, Dr. Dorkowski worked in private practice at West Tennessee Eye serving as Chief of Operations, and was an associate with Visionary Eye Care, an ophthalmic referral center specializing in pediatric and oculoplastic surgery. Dr. Dorkowski presents clinical workshops to practitioners at both state and national optometric educational meetings. Dr. Dorkowski is a member of the American Optometric Association. In the state optometric association, he has served on the Board of Trustees, and Dr. Dorkowski served as Vice-President and President for the West Tennessee Optometric Physician Society.